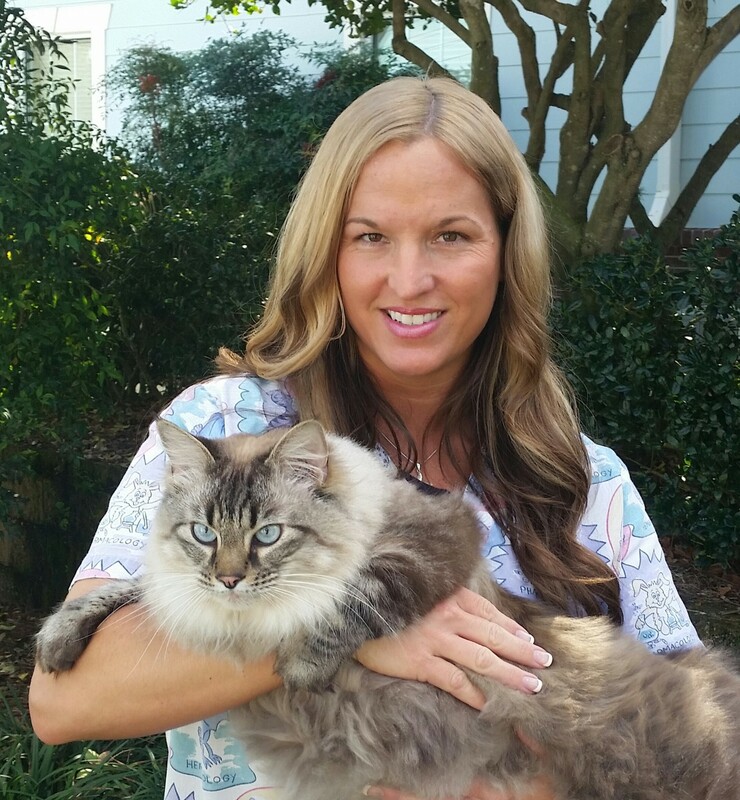 Shellea has been in the veterinary field for 18 years. She has been here with us at Paws since 2009. She is passionate about her work and love for animals. Shellea is married with 3 children and 2 adorable grandchildren. She also has 7 fur babies at home, including 4 dogs and 3 cats. Heidi is the groomer at Paws Animal Hospital. She recently moved here from South Carolina, where she owned her own grooming business for 10 years. Heidi has been grooming for almost 20 years, she grew up in the grooming industry following in the footsteps of her parents. She is experienced with all breeds of dogs, large and small dogs, young and senior dogs as well as dogs with special needs. Heidi also loves grooming cats. Heidi says she enjoys her work thoroughly and has all the patience and loving care that it takes to do this job. She would love to meet your fur babies and make them look absolutely gorgeous. Jen grew up on a farm and has been an animal lover ever since! She found the love of her life in Bacon, the Bearded Dragon. Jen also has a Kitty named Carly and a Quarter Horse named Blue. She has been in the veterinary field for the last 10 years. In her spare time she enjoys fishing, spending time with her family over a good meal, and is an avid Alabama Football Fan! Roll Tide! Lily has been working as a veterinary assistant for 4 years. She loves animals and enjoys being around them. Lily has 2 children and several fluffy felines! We are proud to have her as part of our team at Paws. Lauren lives in Ocala with her sister, brother in law, and their cat Zelda and her cat Turnip. 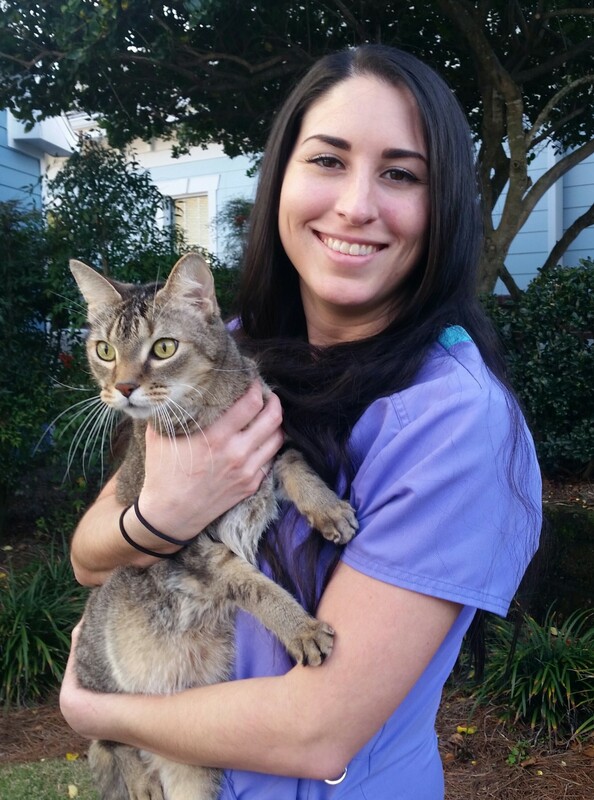 Lauren entered the veterinary field about a year and a half ago when she started here at Paws Animal Hospital. Though she is fairly new to the field, lauren has been working with animals, one way or another, for numerous years. She graduated from Canisius College in Buffalo, NY with a bachelors degree in Animal Behavior, Ecology, and Conservation. Since then she has worked as a kennel technician for the Animal Welfare League of Arlington and has volunteered for several non-profit rescue organizations. The most recent involving a stay in South Africa working with a team of women known as the "Black Mambas" in an effort to stop the illegal poaching of elephants and rhinos. When Lauren is not working she enjoys photography, reading, hiking, and traveling as much as she possibly can. 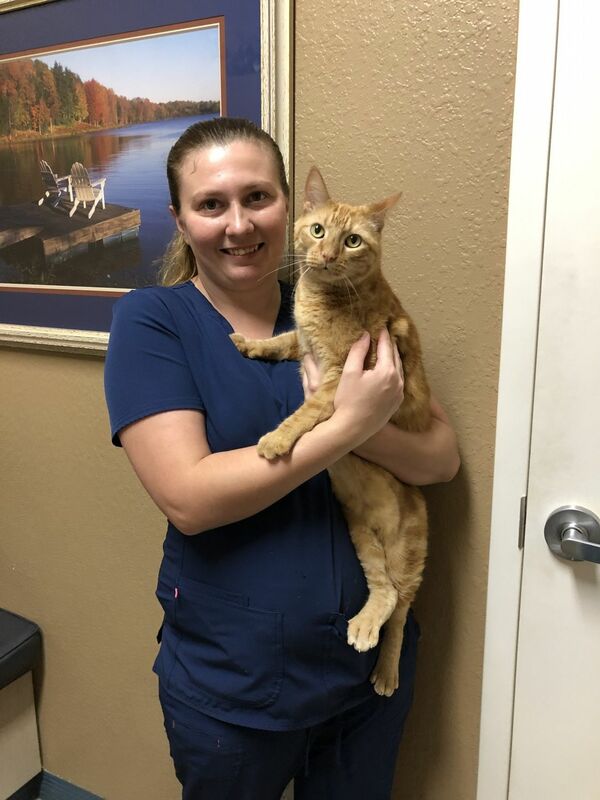 Amanda is our longest working employee here at Paws Animal Hospital. She is a proud mother to Scooby the dog, 2 cats, and a guinea pig, Mochi. Amanda moved here from NY in 2004, where she helped her mother with animal science courses at the Bronx Zoo. When Amanda was young, she always loved animals and wanted to become a marine biologist. Amanda is now currently attending University of Central Florida for her Bachelors degree in Biomedical Science, and is aspiring to be a pathologist. Danielle has been a part of the Paws Family for years. 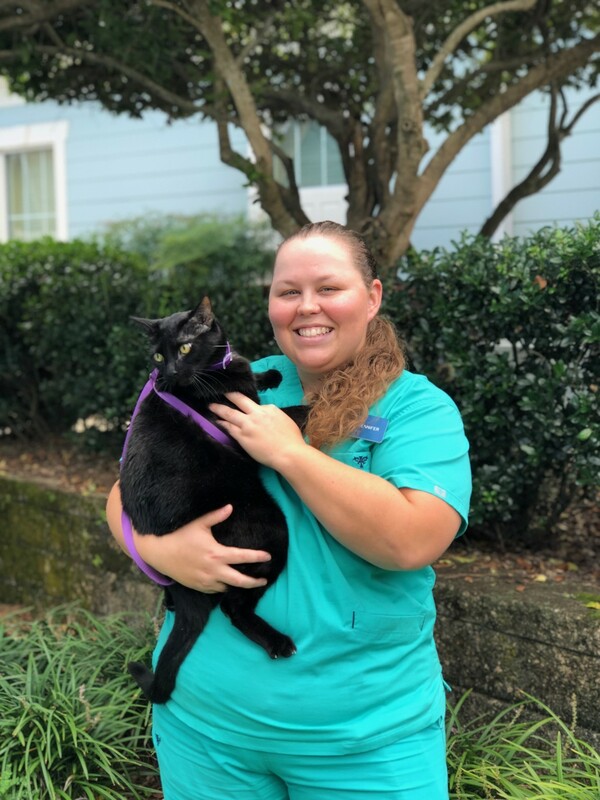 She is a graduate from the University of South Florida, and since has been able to join the team again while awaiting entry into Veterinary College. 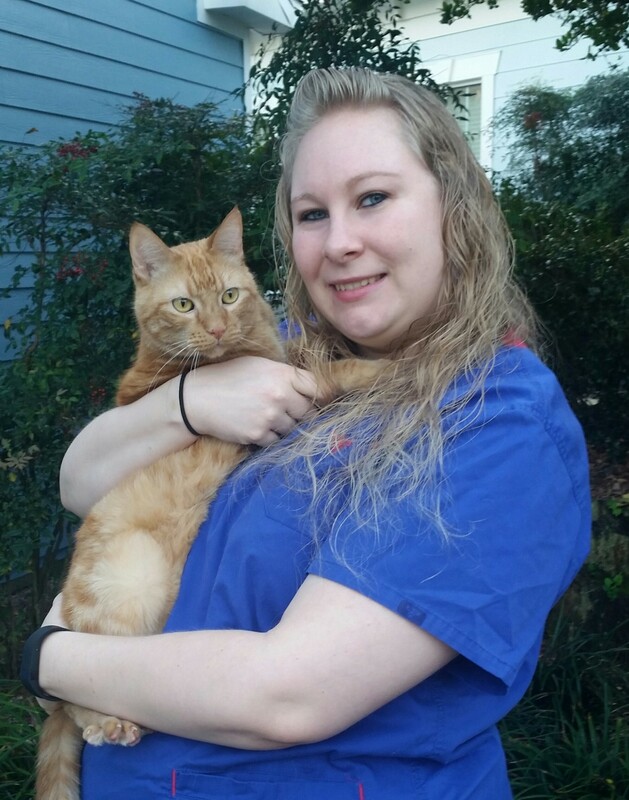 Danielle loves spending her time with Family, Friends, and all the animals at Paws, especially our Orange house cat- Honey Pot! Danielle, and her husband Mike have 4 awesome kitties and 2 bunny's, one is disguised as a Rottweiler named Champ, at home. Danielle's Siamese, Leo also rescued a small Red Eared Slider Turtle last year. Danielle is an avid Ice Hockey Fan as well, GO FLYERS !!! Augusta is originally from South Florida. She graduated from College of Central Florida with a degree in equine exercise physiology. She worked with horses before joining our team at Paws! She has two cat's and a leopard gecko named Rupert at home to love on. Stephanie grew up in Ohio where her grandparents owned a farm. Stephanie got her first horse when she was 14! But has worked with them since she was 8 years old. Before moving to Florida Stephanie worked in a doggy day care facility that had 60-100 dogs per day to take care of. Stephanie used to own her own pet sitting business as well. She has a background of business management/technical trade school. Stephanie has a teenage human son and 2 miniature schnauzers at home. She has had cats and dogs all her life growing up. Moe started working at Garland Road Small Animal Hospital in Winslow Maine in 2003 as a receptionist/assistant. 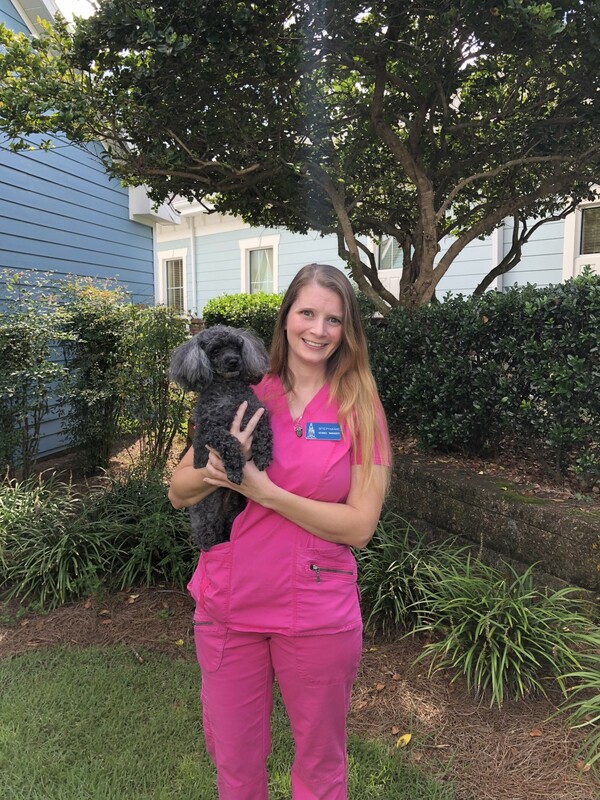 Since moving to Florida in 2006 she has been fortunate enough to have found her other family here at Paws Animal Hospital, continuing to work in the field she loves. Moe take's a special interest in the older, down on their luck animals. She has been married to her husband Tim since 1991; Moe has a beautiful daughter K.L. Moe's family continued to grow in 2012 when they were blessed with their first granddaughter Joselyn Marie. Her second granddaughter, Ariel joined the Disney loving crew in May 2014! And August 2018 she welcomed her first grandson, Lincoln. Lindsay has worked in the Veterinary field most of her life. She enjoy's spending time outdoors and on the water with her husband, Brent. They have a home on the lake with their 2 sweet Dachshunds, 2 kitties, and their horses!